I’m going to begin this with a statistic that I find genuinely incredible: the Isley Brothers scored Billboard Top 40 singles with new material in the 1950s, ’60s, ’70s, ’80s, ’90s, and ’00s. In that time they’d been an R&B party band, a Motown production-line group, folky protesters, funky balladeers, psychedelic Hendrix disciples, New Jack Swingers, even hookmen for gangsta rappers. In the 1970s, they became one of the biggest groups in the world. The original trio of Ronald, O’Kelly and Rudy Isley had long been backed up by guitarist Ernie Isley, bassist Marvin Isley and their cousin Chris Jasper on keyboards but the younger kids were now asked to join the band for real and they put out an album called 3+3 to commemorate the formalising of this established collaboration. It was an immediate smash. For a few years prior, they had been working in rock and roll as much as soul music, reinterpreting white rock songs and hippie protest songs with a gospel fervour. Appropriately so, as they were the originators and popularisers of both Shout and Twist and Shout, so they already held a key position in the history of rock and roll music. But 3+3’s funk was based on songs by Carole King, the Doobie Brothers, even James Taylor. Not to mention Seals & Crofts, authors and original performers of Summer Breeze. It really doesn’t get any whiter than that. The Isleys’ success was to cross over from the R&B world to mainstream pop radio, which you can only do by broadening your fanbase. 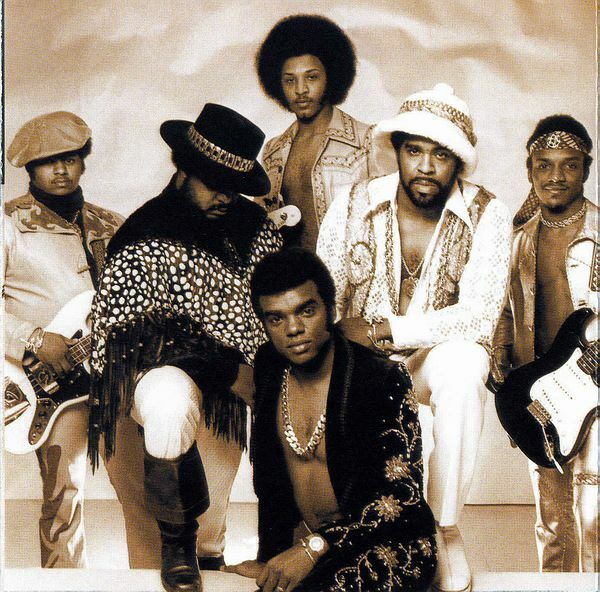 The Isley’s did it as well as anyone ever has, and few groups have been so beloved of both black and white audiences. The album’s secret weapon (if anything so prominent could be described as secret), was Ernie Isley’s Fender Stratocaster. The band were fortunate to have in midst possibly the heaviest guitarist in R&B at the time, both in tone and in style (Eddie Hazel being the other contender). Ernie was a friend of Jimi Hendrix and owed Jimi a huge musical debt; Hendrix had played with the Isleys when Ernie was still a child and the influence he had on the kid was soul deep. The 1970s was the era of guitar hero (exhibit A: one of the ways Chris Blackwell decided to sell Bob Marley and Wailers to a rock audience was by adding guitar solos when they re-recorded their Jamaican material), but Ernie Isley cut through the high-speed babble of slurred sextuplets by virtue of an instantly recognisable tone – fat, sustained, compressed, loud – as well as a sensual, fluid approach to lead playing. He also played the drums on the Isleys’ records, and had an endearing way of speeding up pretty much all their records. His contributions made an Isleys record identifiable before Ronald even opened his mouth. Their records were organic – homemade, almost – in an era of increasingly slick productions and the group chose their material with a sure touch. A well-compiled Isleys best-of is an essential purchase. This entry was posted in Music and tagged 3+3, Bob Marley, Chris Blackwell, Chris Jasper, Ernie Isley, Fender Stratocaster, Island Records, Isley Brothers, Jimi Hendrix, Marvin Isley, Motown, O'Kelly Isley, Ronald Isley, Rudy Isley, Seals & Crofts, Shout, Stratocaster, Summer Breeze, Twist & Shout on January 16, 2014 by rossjpalmer. Were Ernie and Hendrix in the band at the same time? That’s a nice article. Always intriguing to find out about Jimi’s early days..